Belt filter press is primarily used for sludge dewatering prior to drying or disposal and widely installed in water plant, municipal wastewater treatment, sand washing plant, coal treatment plant and various ores treatment. Belt filter press a continuous operating machine which achieve solid-liquid separation by pressing it between two porous filter belts. 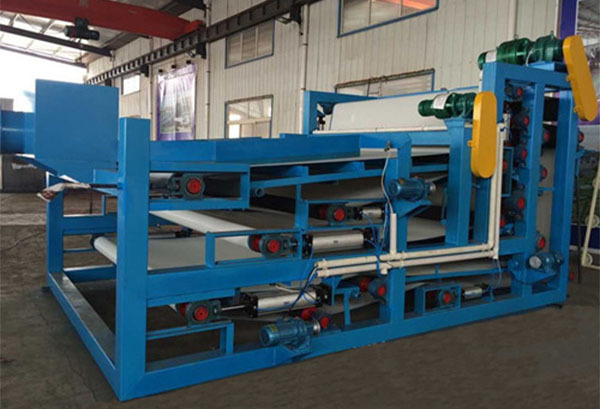 Why use belt filter press in water plant? Due to natural and human factors, raw water contains a variety of impurities. And these impurities can be classified into suspended solids, colloids, and dissolved materials from the perspective of water treatment. The purpose of water purification treatment in water plants is to remove suspended substances, colloidal substances, bacteria and other harmful components that cause harm to human health and industrial production in raw water, so that the purified water can meet the needs of drinking and industrial production. 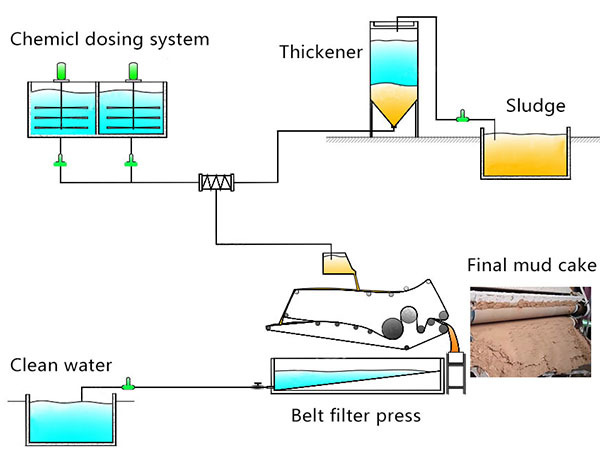 The sludge treatment process of thickener + belt filter press currently used can separate the sludge in water plant into drying mud and clean water. Naturally settle first, then add flocculant to form a pellet precipitate in thickener. The supernatant liquid is flow into clear water pool for reusing, and lower layer sludge enters belt filter press for dewatering. The the mud cake with a final water content about 20% can be directly disposed for disposal. 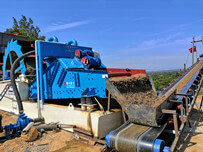 The whole process is continuous, and can protect the environment. 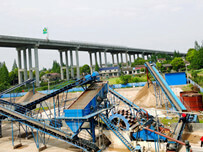 Belt filter press: high concentration mud dewatering to form mud cake and clear water. 1. Can quickly change the mud to mud cake by simple chemical reaction and physical mechanical pressure filtration, and meet the minimum moisture content of filter cake. 2. 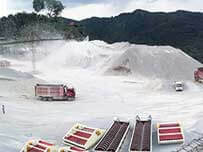 The ultra-long gravity concentration section, more than ten rolls in extrusion zone, large curved pre-pressing section, and unique L-shaped extra-large diameter double-sided roll ensure the maximum processing capacity and the lower moisture content of filter cake. 3. 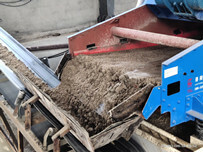 Used in a wide range of fields, including gravel processing mud, urban building mud, river dredging mud, beneficiation tailings and traditional industrial sewage sludge. 4. In the process of development and production, the design and materials of each component are strictly checked.